I JUST BOOKED a trip to Peru (aaaaahhyayayayy) and I'm moving to Brooklyn in October. Read: I have a very teeny tiny budget for anything fashion/clothes related. So, I went on a mission: Operation Find Fall Jackets That Rock Your Face But Not Your Bank Account. Observe. 3 Mango jackets for day/night/anytimeyouwanttolookawesome. 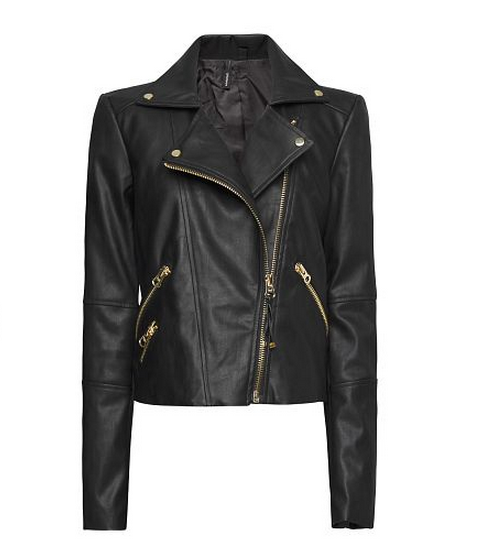 Gold Hardware Biker Jacket: Pair w/skinny jeans. Zip it up. Exclamation point with bright pumps. Smoking Suit Jacket in Orange: Matching shorts! 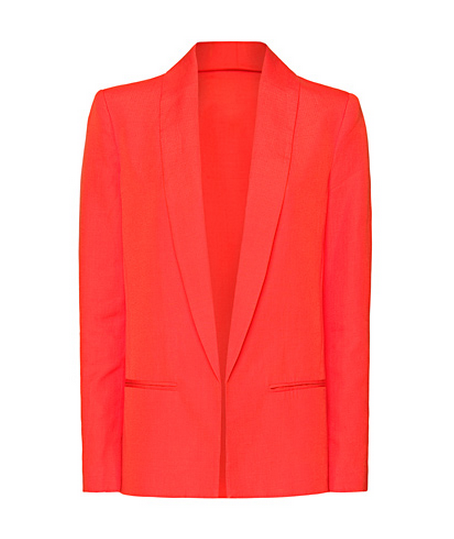 I can look like the Kate Moss of oranges!? 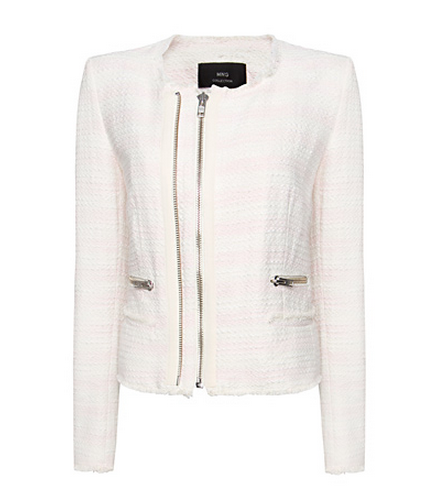 Zipper Jacket in White: Resist the urge to zip up. Leave open, pair w/a cobalt blue tank, be happy.